These are not perks of being human, but the perks of being Forge himself. 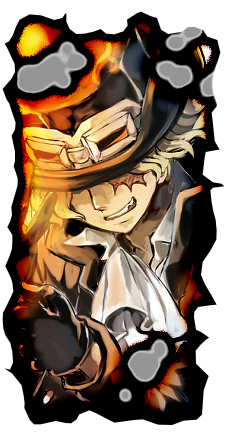 Genius Intellect: Forge has proven himself to be the most intelligent being in Fiore, he has not explored past this. Much of his intellect is seen in scientific inventions, deduction of situations, and combat tactics. Even after a century of captivity, the Council still holds great respect for his talents. He is very insightful of other people, allowing him to see through a person's demeanor and determine what they are thinking. Due to this, he cannot be lied to. Also able to read well into the situation, he can seemingly predict anything well in advance. Forge is a highly capable teacher. Despite not having any affinity for magic, he is able to quickly analyze and break down anyone's magic/body structure to help them understand how it works. His knowledge has given him an innate understanding of the abilities of others and what happens when independent variables are entered into an equation. After spending over a century in captivity, Forge spent the majority of his time creating things, having been given the name Forge because of it. Forge has created a number of devices and techniques to aid him in battle or otherwise. As he has been inventing and creating things before becoming leader of Arcana Force, he can create his inventions in rather short amounts of time. He is even able to determine the true mechanics behind a new advanced power and how to disrupt it. He is a highly adept chemist, having recreated the a unique healing capsule that upon injecting, scans the bodies DNA and reconstructs it based on the injury type. Forge also has highly capable medical skills. Forge is a very insightful and cunning man. Forge has an undeniable talent for thinking things through well in advance, making decisive and accurate decisions quickly in battle, and seemingly perceiving any situation at hand. 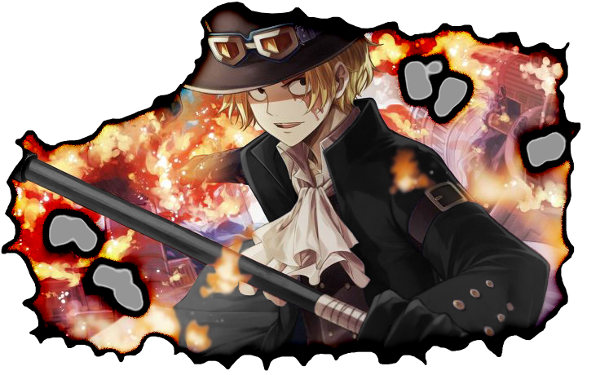 He is a crafty tactician, easily deceiving both allies and enemies. In battle, he regularly uses cunning and deception to catch his opponents off-guard. He is a very analytical man, quickly seeing through an opponent's power and attack patterns to ultimately make them useless against him. Wonderland: Forge's engineered left eye sends an energy wave out that disrupts the enemies senses. Forge describes this ability as something like a trump card. Up, down, left and right as well as forward and backward are reversed. However, it is not just the sense of direction that is changed; the opponent's eyesight, direction of incoming attacks, and injury locations are also inverted. Countering the damage from the inverted directions simply by processing it all within the mind is not possible. No matter how powerful the opponent, even if one is accustomed to fighting in that particular way, their body will not adapt(applies to equal rank or lower), and will continue to fight by reflex, which causes it to continuously succumb to the power's effect. The effect of the inverted world can be targeted at or neglected from specific opponents, making it ideal for use in group fighting. It also severely effects the equilibrium of those its power is used on giving them vertigo, causing confusion, disorientation and/or nausea. Forge's left eye is engineered to be part mechanical. Personality: Above respect for life and good, or disregard for life and promotion of evil, the Forge places randomness and disorder. Good and evil are complimentary balance arms. Neither are preferred, nor must either prevail, for ultimate chaos would then suffer. This view of the cosmos holds that absolute freedom is necessary. Whether the individual exercising such freedom chooses to do good or evil is of no concern. After all, life itself is law and order, so death is a desirable end. Therefore, life can only be justified as a tool by which order is combated, and in the end it too will pass into entropy. Forge believes that there is no order to anything, including his own actions. With this as a guiding principle, He tends to follow whatever whim strikes them at the moment. Good and evil are irrelevant when making a decision. Forge is extremely difficult to deal with. Forge has been known to cheerfully and for no apparent purpose gamble away everything he has on the roll of a single die. He is almost totally unreliable unless he has an interest in whatever it is he is doing. Forge likes to indulge in everything. Forge will at least consider doing anything if he can find enjoyment or amusement. Life has meaning, but his has the greatest meaning. According to him, laws and rules infringe on personal freedom and were meant to be broken. Forge is always looking for the best deal, and will work with good, neutral, or evil to get it; as long as he comes out of the situation on top. Forge is constantly teetering between good and evil, rebelling, and bending the law to fit his needs. Forge can also be completely random and unpredictable. He may shift allegiances at a moment's notice, or remain with one for years. Forge feels that there is no plan at all for the universe. Things just happen. He doesn't care what happens to others, yet will not necessarily go out of his way to harm others. If someone stands in the way of their happiness, he may kill that individual or move on to something else. His priorities tend to change as he experiences new things in life. He may even appear to adhere to another alignment for some length of time, only to switch at an inappropriate moment. They can be the worst tricksters, conning people, not for gain, but for sheer amusement. Forge may not be driven by fame or wealth, but may only take actions just to see what happens. Forge views ultimate freedom and disorder as most desirable. He sees good and evil in a secondary role, and neither should be allowed to interfere with pure chaos. Whether the he chooses to do good or evil is of no concern. Forge will almost always seek some selfish goal (such as finding a girl) in addition to the promotion of universal disorder, and are thus seen as "greedy" by others. Naturally, the he won't see this as greed, but rather as "self-fulfillment." Thus, respect for others does not stand in the way of the pursuit of individuality. Since death is inevitable anyway, Forge isn't averse to speeding certain creatures on their ways if it's deemed necessary, although he won't go out of his way to inflict pain and suffering like an evil being would. Life can only be justified as a tool by which order is combated. Forge will keep his word if it serves his interests. He may attack an unarmed foe if he feels it necessary. He will not kill, but may harm an innocent. He may use torture to extract information, but never for pleasure. He may kill for pleasure, but is not likely to do so. He may help those in need and he prefers to work alone, as he values his freedom. He does not respond well to higher authority, is distrustful of organizations, and will disregard the law in pursuing his self-interest. He may betray a family member, comrade, or friend, but only in the most dire of situations. Forge does not respect the concepts of self-discipline and honor, because they believe such concepts limit freedom to advance their self-interest. However, he does have some form of a code of honor, as he is unwilling to fight an injured opponent, wanting to defeat them at their full strength. When in a battle, he becomes incredibly fierce and aggressive. Forge is also a very emotional person and lets his emotions control him from time to time. Losing those close to him have a huge affect on his personality, and motives; making him very distant from others for a while. While appearing to be a laid-back individual, this scruffy exterior hides Forge's brutal, impulsive, excessively-violent personality and a lethally-short temper. However, despite his aggression and obvious blood lust in battle, Forge possesses a feral cunning and has a knack for quickly exploiting any opening his opponent reveals. Forge has an undeniable talent for thinking things through well in advance, making decisive and accurate decisions quickly in battle, and seemingly perceiving any situation at hand. He is a crafty tactician, easily deceiving both allies and enemies. In battle, he regularly uses cunning and deception to catch his opponents off-guard. He is a very analytical man, quickly seeing through an opponent's power and attack patterns to ultimately make them useless against him. -Freedom: He does not believe in oppression and feels there needs to be some high ruler. -Chaos: It bores him when things get too quiet. -Love: It's something he'll never grow tired of. - Cold, wet things: He just hates it, plan and simple. - Recklessness:He feels being reckless is one of many was to get yourself killed. -Arrogance: Being arrogant makes you look bad when you lose. -His Power: Who would fear you if you weren't afraid of your own strength? -Failing: Having failed once before in a critical situation, Forge fears repeating past mistakes. -Death: He fears he'll die before he can accomplish his dreams. Himself-He is eager to prove to himself he can accomplish things he never thought possible. Marriage- He hopes to get married one day soon. Power- He wants to become strongest. Symbol: A large version of his symbol on his center backside.